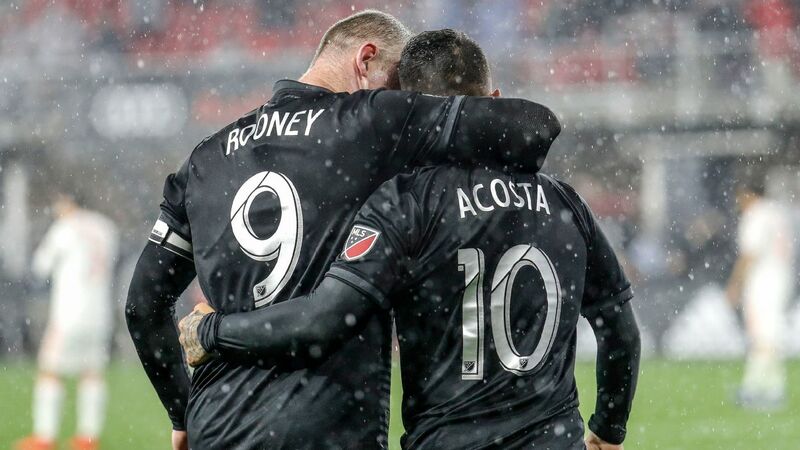 Power Rankings: Red Bulls take top; Rooney boosts D.C.
Can Wayne Rooney revitalize D.C. United? 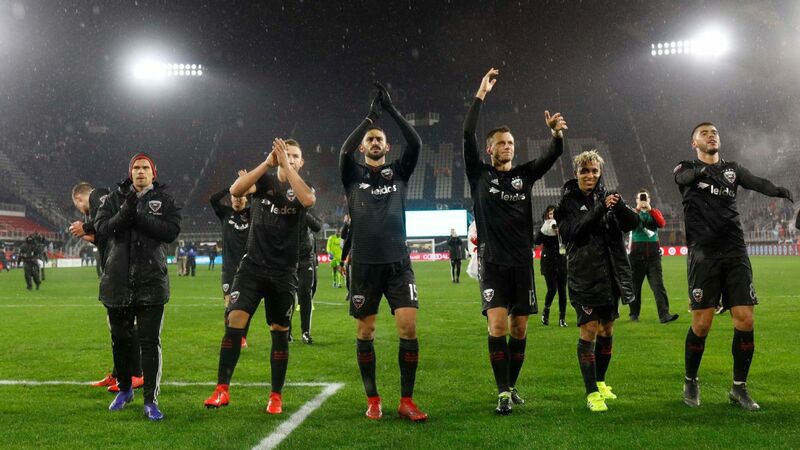 WASHINGTON, D.C. -- On a cold, rainy Sunday night at Audi Field, Major League Soccer's past, present and future collided in D.C. United's 2-0 victory over Atlanta United. The home team represented the past. D.C. United dominated MLS's inaugural half-decade, winning three MLS Cups in the league's first four years and another in 2004. But it has suffered through a poor stretch of late, capped by a dismal 9-20-5 showing in 2017. Atlanta United is the present. The current MLS Cup holders created the big-spending, great-success blueprint for an MLS expansion squad. Arthur Blank, who came north to watch his club in its season opener, splashed cash early and often, and was rewarded with a championship in year two. If there's a team that embodies the best of MLS in 2019, it's the Five Stripes. The visitors represent the league's future as well. While Miguel Almiron moved on to Newcastle United for a tidy sum of roughly $30 million, reigning South American player of the year Pity Martinez joined in the offseason from River Plate. He didn't play against D.C. -- Atlanta perhaps looking ahead to a CONCACAF Champions League quarterfinal clash against Monterrey Wednesday night in Mexico -- but new head coach Frank de Boer did give last season's huge signing, $15 million-man Ezequiel Barco, a run. There's no reason to think Atlanta won't be in the top tier of the league for the next decade and beyond. But D.C. United can also claim to be a growing force in the league, which is not something anyone would have predicted this time last year. Ben Olsen's rejuvenated squad finally has a soccer-specific stadium to call its own, a $400 million, 20,000-seat venue that sits a less than two miles south of the U.S. Capitol, and a superstar in Wayne Rooney. The team blitzed through the league during the second half of last season and looks poised to compete in 2019 and beyond. "We were surprised by how many fans were out there sitting in the rain, chanting," defender Steve Birnbaum said after the victory. For one of MLS' best original franchises, the turn of fortune is a welcome change. "There were so many years where this team had many challenges," MLS commissioner Don Garber said before the game. "Part of it was shifting ownership and facility issues. "Now there's a buzz around this team, around the league, amongst our ownership group. I had a lot of different cities I could have gone to this weekend. I wanted to come to their opening game. ... The buzz is back." D.C.'s recent turnaround proves how quickly fortunes can change in MLS. A smart player signing here, an excited fan base there, and all of a sudden, a squad that looked left for dead can return to the upper echelons of the league, or at least get into the conversation. (A huge playoff field helps, too.) That should be heartening for the supporters of the half dozen or so MLS franchises that seem to be perpetually twisting in the wind. The reinvention continued in the first half on Sunday. D.C. was the aggressor throughout, handling the weather and slippery conditions better than the visitors, outshooting Atlanta 11-3 in the opening 45 minutes. A goal could have come sooner. Leonardo Jara missed from close after a plundering run down the right flank. Arriola nearly connected on a volley off a scoop pass from Lucho Acosta but pulled his effort wide. Rooney's curler from just outside the 18-yard box went on the wrong side of the post. Junior Moreno was alone at the penalty spot, only to hit his shot straight at Atlanta netminder Brad Guzan. D.C. earned its first in stoppage time. Acosta got on the end of a corner kick and the ball bounced to Arriola, who pounced. 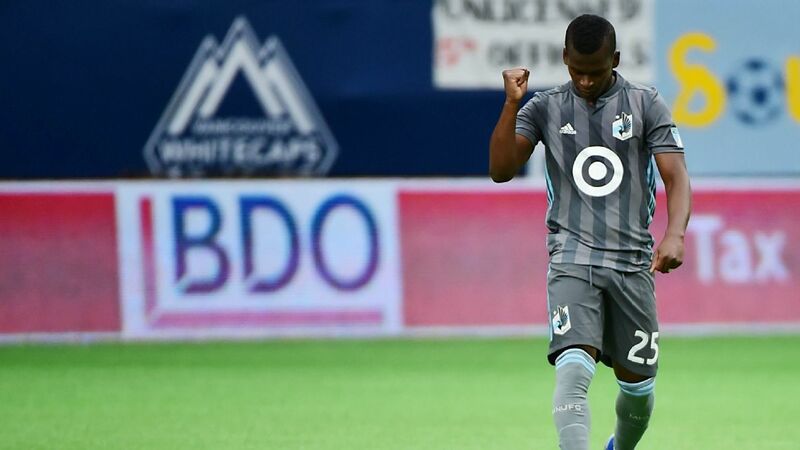 Head coach Ben Olsen praised his young winger's efforts, noting that his finishing has improved from when he first joined the squad. "He's off to a good start in [the goals] category so far," Olsen said with characteristic understatement. Rooney could have, should have put the match out of reach moments later, but he skied his sitter from just outside the six-yard box well over the crossbar. As the rain fell harder, D.C. tightened its grip. While Atlanta maintained possession, earning the majority of possession in the second half, De Boer's boys struggled to manufacture chances. It was an effective performance, even if Olsen wasn't entirely happy with his team. "We like to kill it off in a little different way," he said. "And that different way is with the ball. There were four or five times in the last 20, 25 minutes where were could make better decisions. There was a little bit of sloppy play. We were a little casual at 2-0." On the night, Atlanta wasn't its best. 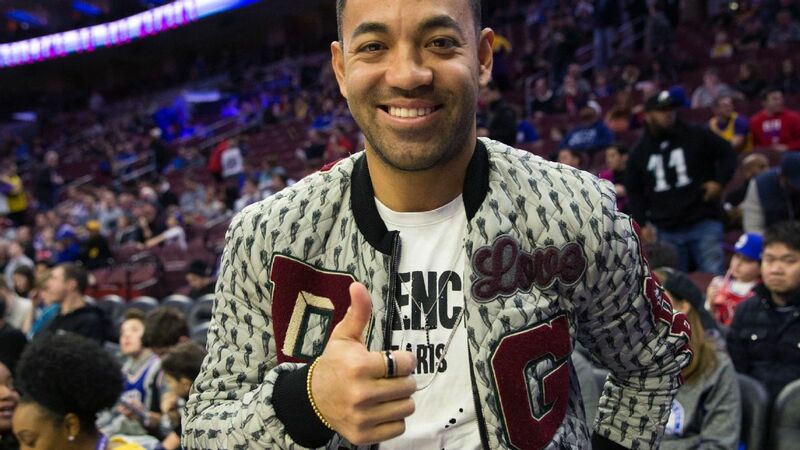 Perhaps there's a bit of an MLS Cup hangover. Perhaps De Boer's club is still figuring out its post-Almiron tactics. Perhaps the Five Stripes were tired from last Thursday's Champions League game and more focused on Wednesday night's match. Perhaps they were simply cold from the rain. Whatever it was, Olsen noticed their lack of spark. "You saw two different teams today," he said. "A fatigued group from Atlanta. Maybe we didn't get their best punch. But in this league you have to take advantage of those opportunities." And take advantage they did. Atlanta will, most likely, be just fine over the course of the season. It's a talented club, and there's no reason to panic. But D.C. got a deserved three points to start its season. Rooney said it best: "I think we were the better team today." For Ben Olsen & Co., their future is now.